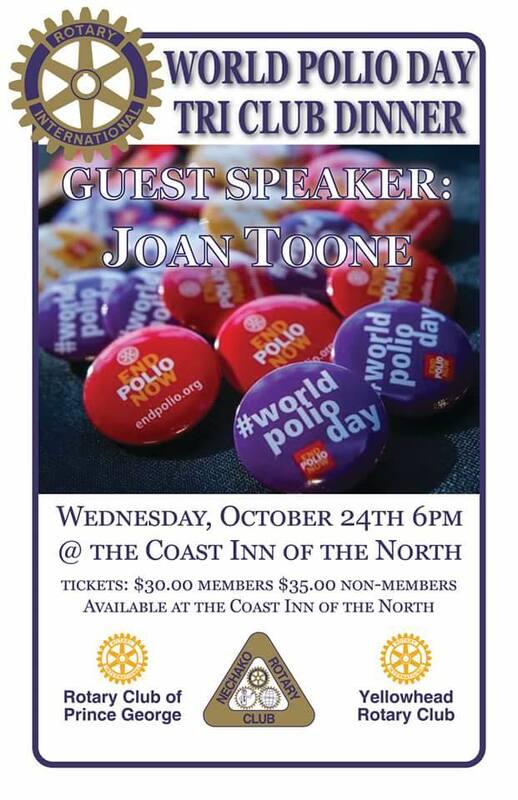 October 24th is World Polio day and to recognize this important event the 3 Prince George clubs are holding a joint dinner on that day at The Coast. Guest speaker is Joan Toone. Joan is a Rotarian and Past President of the Rotary Club of Victoria. Both Joan and her husband are multiple Paul Harris Fellows and Foundation Benefactors. They have received the Foundation District Service award twice. Joan has also received a President's Commendation and a District 5020 Award of Excellence. She is a recipient of the Governor General's Caring Canadian Award and the Sovereign's Medal for volunteers. Joan is also a polio survivor. Please join us on October 24th 6 pm at The Coast. Please feel free to invite friends and family. Tickets are available at the front desk of The Coast and I also have tickets . I will have these available at our luncheon meetings. Price is $30.00 for Rotarians and $35.00 for non members. New Rotarian Ken Carnes has completed his ‘task’ list and had his New Member ribbon removed today. Thanks for joining our club Ken, we are enjoying getting to know you. Shown here with Yellowhead Rotarians Janine Janine Fraser and Martina Humphrey. Today we inducted our newest member, Mauricio Plate. Mauricio works for the City of Prince George and manages their service division. We are happy to have you with us Mauricio and we look forward to working together in our community. Yolanda Bruno, Helen Matson and Sharon Egglestone are shown here with Taste of India Committee Chair Janine Fraser. Our annual Taste of India event raises much needed funds for worthwhile organizations both international and local. This week we were pleased to present Kim March and Jamie Kranrod from The Blackburn Community Association with a cheque for $8,500 towards the development of a bike skills park. We are proud to be associated with this project as it impacts the lives of children in our community. Kim March is shown here with Taste of India Committee Chair Janine Fraser. Our annual Taste of India event raises much needed funds for worthwhile organizations both international and local. 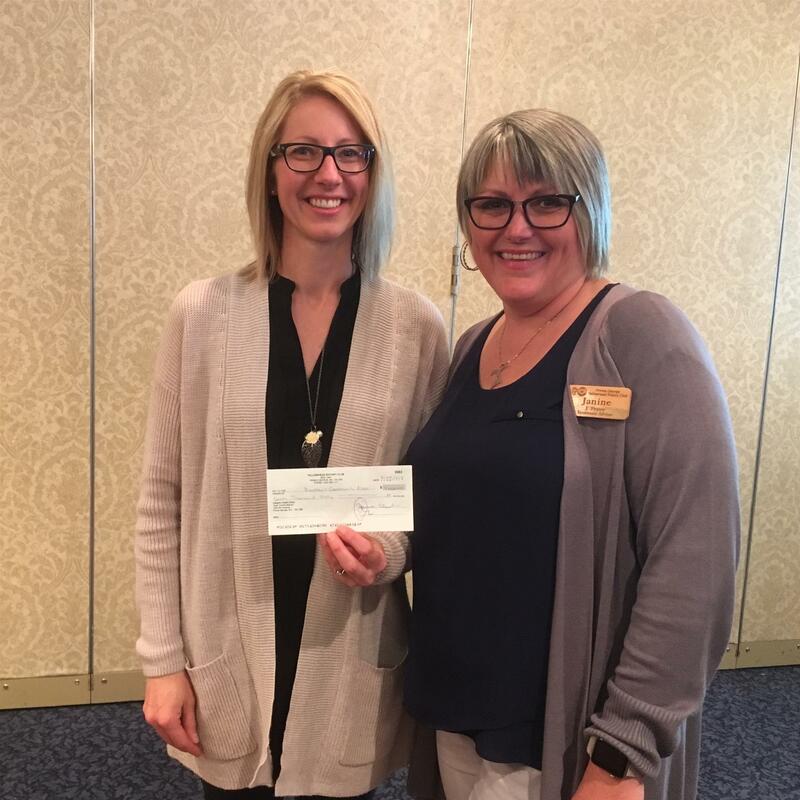 This week we were pleased to present Big Brothers and Big Sisters with a cheque for $8,500 for some much-needed playground equipment. We are proud to be associated with this dynamic group of individuals working to better the lives of children in our community. Keep up the great work! 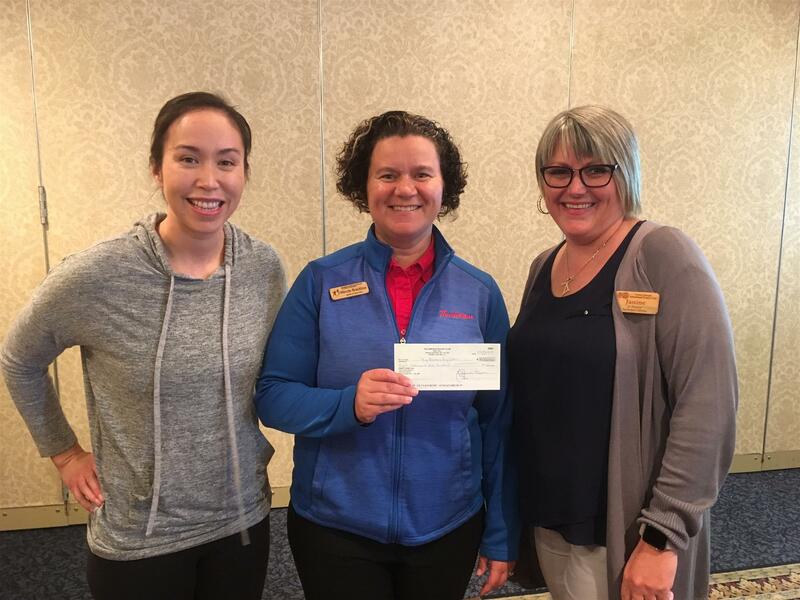 Wendy Bracklow and Erica McLean are shown here with Rotarian Janine Fraser. Today we inducted our newest member, Meagan Seizler. Meagan is a Notary Public with M Hawke and Associates Notaries Public. We are happy to have you with us Meagan and we look forward to working together in our community. outbreak. Thanks to the City of Prince George's Parks and Recreation department for its unwavering support for this project since planning began in December. 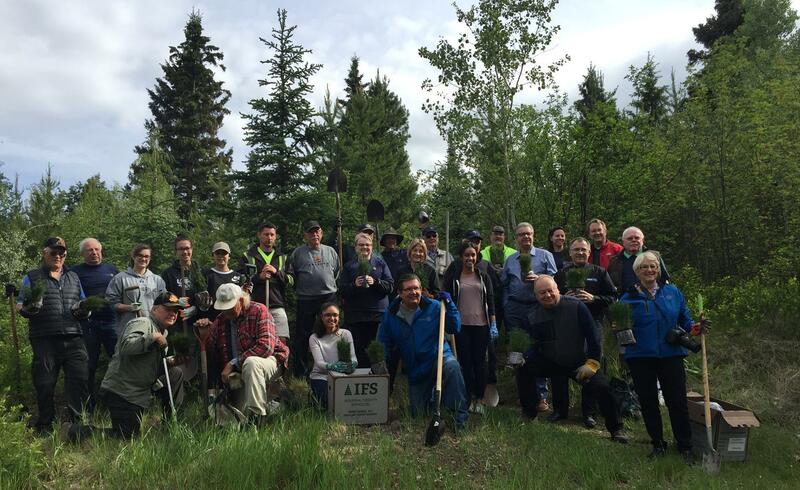 We appreciate the collaboration between the City and IFS as we strive to make a difference in our community with environmental sustainability initiatives like this one. 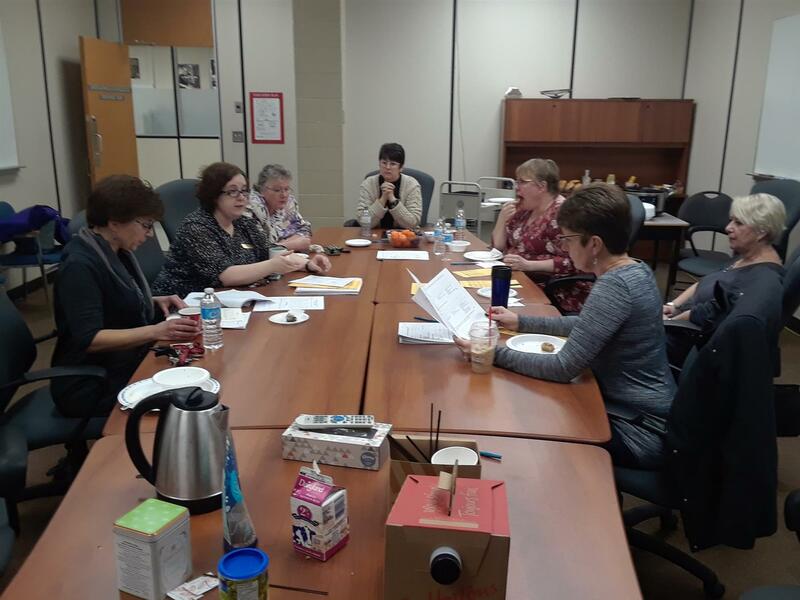 The 2018 interview team for the students applying to attend the Adventures in Health Care program in May. 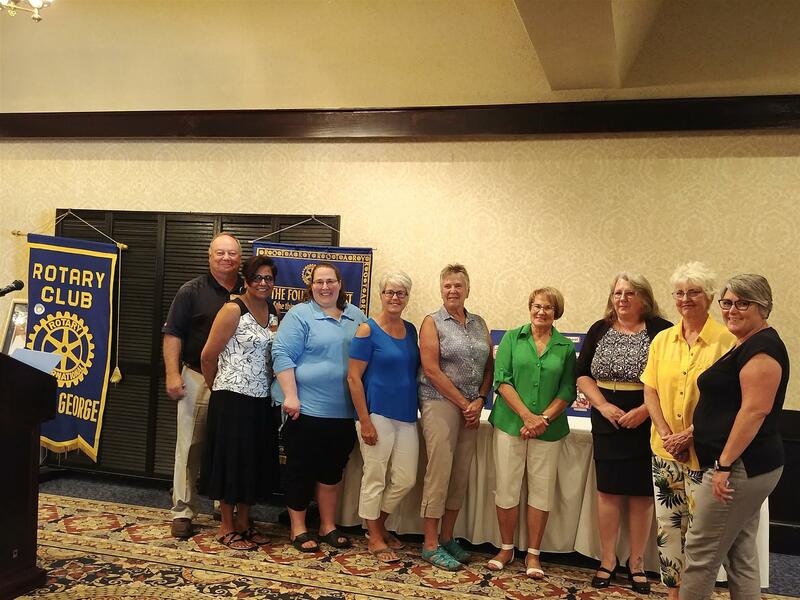 The members include representatives from Rotary, School District 57, University of Northern British Columbia, College of New Caldedonia and AiMHi. 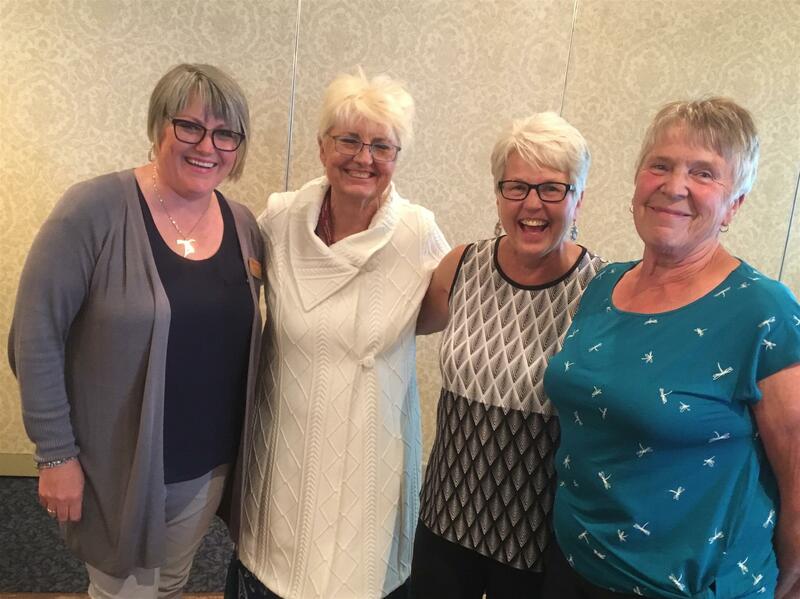 Many thanks to Yellowhead Rotarians Martina Humphrey, Brenda Mondor, Lorna Dittmar, Karen Shea, Ignacio Albarracin and Nechako Rotarian Dolly Hilton. Valorie Radley is joining the Rotary Club of Prince George Yellowhead under the classification of Equestrian Training. 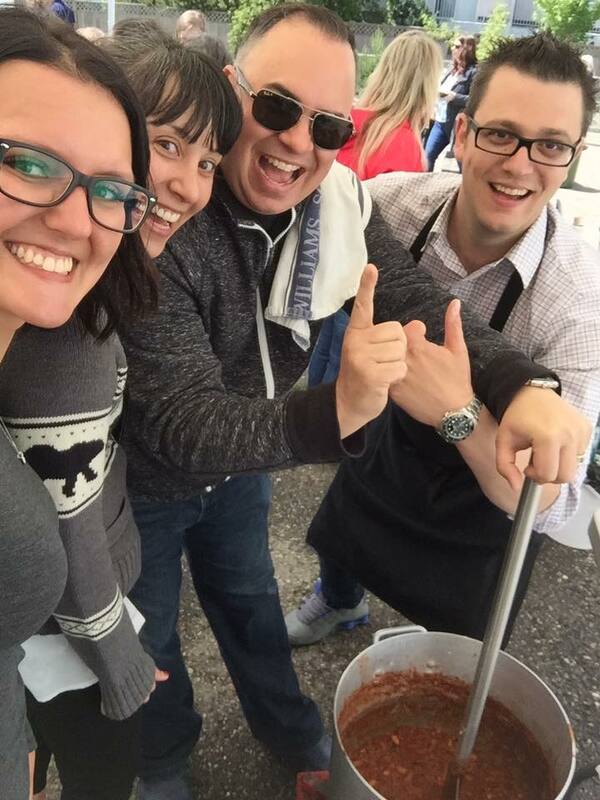 Valorie was a member of the Burns Lake Rotary Club before moving to Prince George. Now that she has established her routine, she is interested in getting involved in Rotary life once again. She was introduced to our club by Leslie Gilchrist. Kassi Doherty is joining the Rotary Club of Prince George Yellowhead under the classification of Customer Service - Airline. 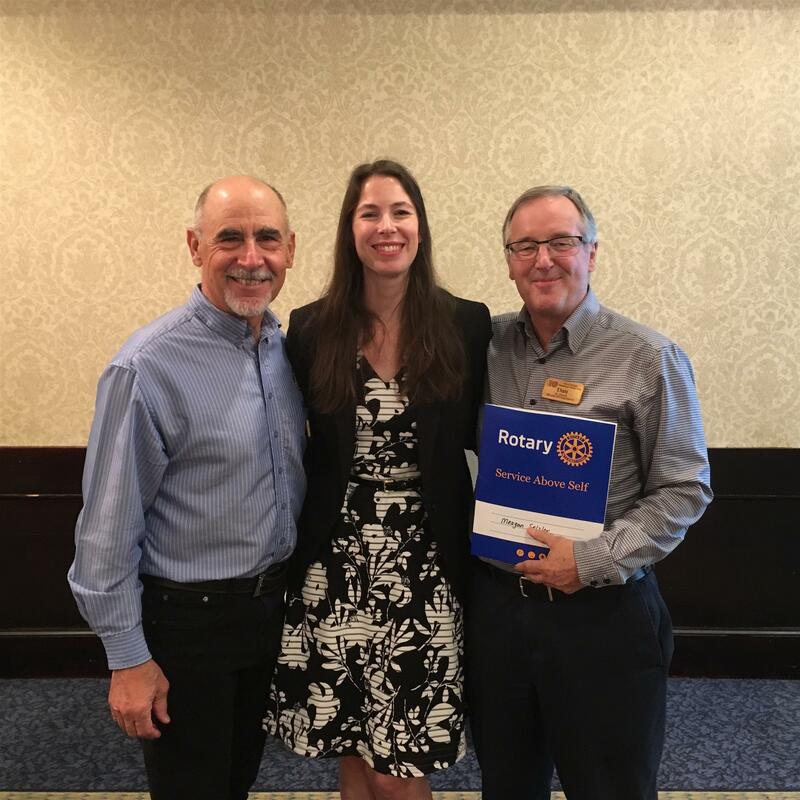 She has told us that she is wanting to get more involved in giving back to her community and sees Rotary as a great way to do that. Her brother was a Rotary Youth Exchange student who went to Taiwan, so she already feels like Rotary family. Auctioning off our services reaps more rewards than just the money raised to help support Yellowhead Rotary community projects. The fun and banter in teaming up to deliver the goods was something we never forget. Yellowhead Rotary Taste of India 2017 Recipiants include: AimHi, Girl Guides of Prince George and Friends of Mgutwa. Our club was able to help AimHi renovate a bathroom to be more user friendly, we also assisted in replacing the floor at the Girl Guides camp, and contributed to a new well in the community of Mgutwa Tanzania. AIFES 2017 is now history. 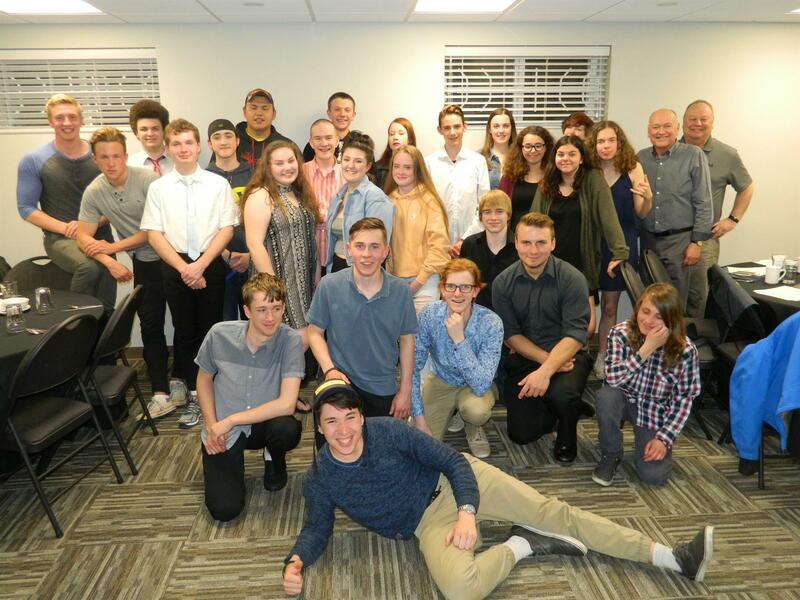 We had a great group of grade ten to twelves -28 in all. They were all worn out after 4 long days, as were a few Rotarians. We received very positive evaluations from the students who learned a lot about career choices, educational opportunities and the broad spectrum of forestry and environmental pursuits. And they had a lot fun at the dinners, BBQ at the Helleyer, and bowling, all of which contributed to new found friendships. Now works starts on making 2018 even better.